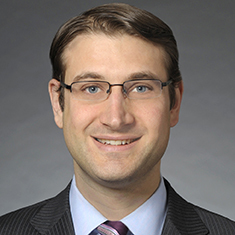 Brian Poronsky has a diverse litigation practice with a focus on the financial services industry. His experience includes litigation, enforcement proceedings, internal investigations and regulatory actions relating to securities, options, derivatives, commodities and futures. Brian regularly represents broker-dealers, futures commission merchants (FCMs), individuals and public and private companies before the Securities Exchange Commission (SEC), the Commodity Futures Trading Commission (CFTC), exchanges and other self-regulatory organizations. He also has an active litigation and arbitration practice, successfully representing financial services clients in state and federal courts and before arbitration panels. Brian has experience in all stages of litigation, including pre-litigation counseling, dispositive motion practice, mediation and hearings on the merits.